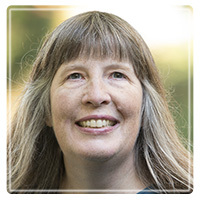 Seattle Therapist: Wendy Smith - Therapist 98119. Session Fees: $120/ hour and $150/ 80 minutes. I am committed to serving people at all income levels. If this fee is unaffordable to you, we will negotiate another. I believe that people contain the seeds of their own authenticity and development, and that it is the therapist’s job to help the client remove what blocks his or her natural growth. Primarily, I am an attachment-based therapist. This means that, when working with individuals, I am working to improve the relationship among parts of the personality, and, when working with couples, I am working to shore up the bond between partners. I am also an experiential therapist. This means that I help clients have change-creating experiences in the here-and-now of the session that are different from what happens in their normal lives; I tend towards trying things and doing things, rather than talking about things, although talking certainly happens. When working with individuals, I use Emotion-Focused Therapy, existential therapy, mindfulness-based therapy, Sensorimotor Psychotherapy, and a version of Richard Schwartz’s Internal Family Systems Therapy pioneered by trauma expert Janina Fisher. I also pay attention to people’s histories in order to understand how their past development and experiences might be affecting their current capacity to live well in the present and imagine a future. In couples counseling, I use Emotionally Focused Therapy to help partners deeply reconnect on the level of needs and feelings (as opposed to having that same unproductive argument over and over again). Once couples have learned to communicate in a way that is likely to get their needs met and have had help in healing breaches of trust, they generally find they can solve other problems without therapeutic help. I am a Licensed Mental Health Counselor (LH60390527) in the state of Washington since 2013. I received my MA in psychology from Antioch University Seattle and completed my clinical internship at Navos Mental Health Solutions (a community mental health center) in Burien, Washington in September, 2009. Since completing my Masters degree, I have undergone advanced training in Emotionally Focused Couples Therapy, Emotion Focused Therapy for individuals, Lifespan Integration © therapy, Grief therapy, Interpersonal Neurobiology, Somatic interventions for trauma, and other fields. I seek out further education and professional development on an ongoing basis. I am a member of the American Counseling Association, the Northwest Grief Counselors Network, the International Centre for Excellence in Emotionally Focused Therapy, and the Seattle Emotionally Focused Therapy Community. Since an important ingredient of our work together will be creating a comfortable working relationship, I''d like to tell you a little bit about me as a person. I'm 50 and am originally from New York. This last may account for the direct and genuine interpersonal style that caused a past supervisor of mine to remark, "You''re so deeply caring with your clients, without being...well...nice." I like to smile and laugh, and I use and appreciate humor when working with clients. On the other hand, I have personally experienced anxiety and depression and know how difficult (and possible) it can be to live through, and transform, those experiences. I have been visually impaired since I was a baby, but did not begin fully to appreciate the myriad meanings of that experience until my late 20''s. Within the last decade, I was diagnosed with fibromyalgia, so I also know what it can be like to acquire, live with, and successfully manage, a chronic illness. I have been greatly empowered by both of these experiences. Prior to retraining as a counselor, I worked as an English and literature instructor, as a writer, and in human services. I am committed to a variety of social justice and human rights causes, and volunteering in their service is an ongoing part of my life. If you grew up with a disability, you may have spent a lot of your life "cheerfully" trying to prove that you have "overcome" your disability and are just like everyone else (exactly what society expects of you), or you may have been convinced by others that you will "never amount to much". In either case, now may be the time to reclaim yourself--to work with a counselor to integrate your disability into your sense of yourself as a person you feel proud of. If you have recently acquired a disability, you may be in shock, or determined to "overcome" your disability as soon as possible, or in despair at your losses and how radically your life has, or appears to have, changed. You may feel angry or guilty, or anxious about being a "burden" to your family and friends. Coming to terms with a disability can bring up a lot of powerful emotions, not to mention confusion, overwhelm, or numbness. Indeed, the quest to make sense of your disability can prompt a reevaluation of your identity and priorities, and, sometimes, even of the meaning of your life. Finding a counselor who understands and is comfortable travelling this terrain with you can be of enormous help. Because of my personal (see above) and professional experience, I have a good idea what it can be like to come to terms with changes in one''s body and functionality, as well as with one''s own mortality. I am convinced that going through the hard work of adjusting emotionally can ultimately lead to a richer, more authentic, happier life. Additionally, I am experienced in counseling clients with disabilities on coping effectively with societal (and internalized) oppression. My office is located in Queen Anne near the Seattle Center. My regular office hours are: Mondays from 2:30 PM to 9:00 PM, Tuesdays from 10:00 AM to 2 PM, Wednesdays from 2:30 PM to 9:00 PM, and Thursdays from 2:30 PM to 9:00 PM.